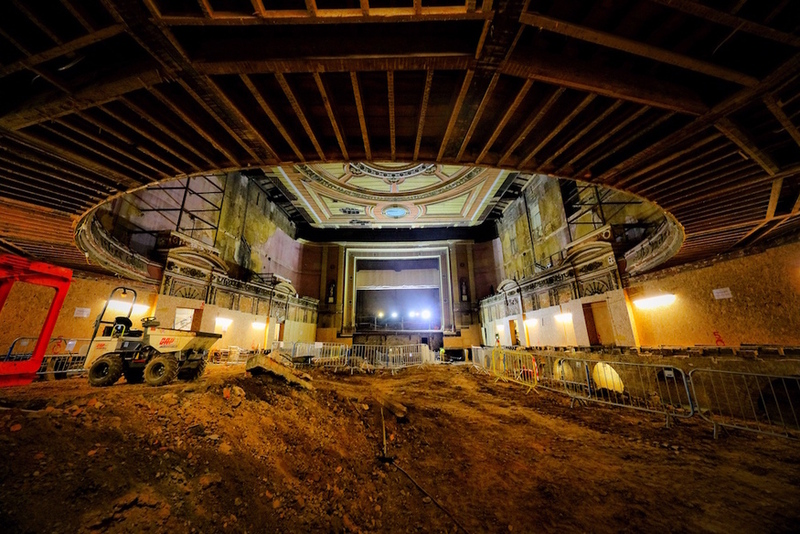 A Victorian theatre in north London which was hidden for 80 years is being restored to its former glory following a successful fundraising campaign. 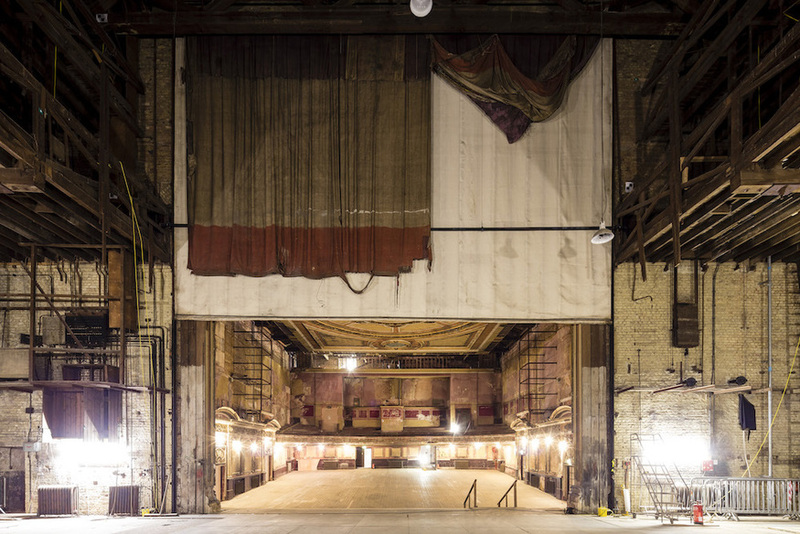 The £26m project to bring the East Wing at Alexandra Palace back to life will result in the re-opening of the theatre, as a 1,300-capacity venue, in late 2018. First opened in 1875, the theatre entertained audiences of up to 2,500 people with pantomime, light and comic opera, drama, ballet and music hall. Then, for almost a century, it was almost everything except a theatre — including a refugee camp. But much of the original features remain intact — including its wall painting, balcony and impressive stage machinery, that once allowed performers to fly through the air and disappear through the stage. These are being restored by experts in time for it to reopen. The programme will include theatre, film, live comedy, music and corporate entertainment. Elsewhere in the East Wing development, a new "flexible learning and participation space" will open, and host exhibitions including artefacts, photographs and early film, which were thought lost or destroyed. A project to restore the BBC studios is being revised, and will not form part of this development. The restoration of the studios will result in "an interactive celebration of the proud history of broadcasting and the BBC at Alexandra Palace, as well an exploration of cutting edge broadcasting and technology". Louise Stewart, Chief Executive of Alexandra Park & Palace Charitable Trust, said: "The public have waited so long to see this spectacular place, set high on the hill above north London, brought back to its original splendour and glory. It’s unbelievably exciting to know that by next year we will have made such a big step forward. 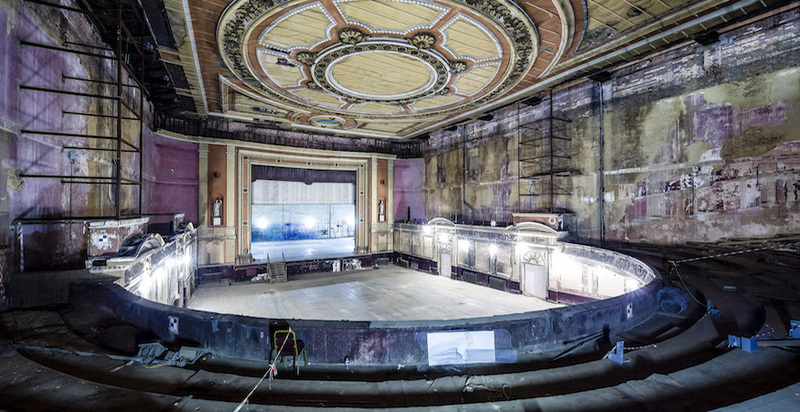 Alexandra Palace Theatre Restoration from Londonist on Vimeo.